Copiously padded for comfort and covered in stylish grey faux leather, the Macy Stool Chair Grey cannot be ignored. A multipurpose piece with an innovative design, the Macy will make a stylish contemporary impression in your dining area and beyond. Its sleek grey faux leather design has stitching that divides the seat for a subtle, quilted effect, adding a traditional twist to a contemporary product. 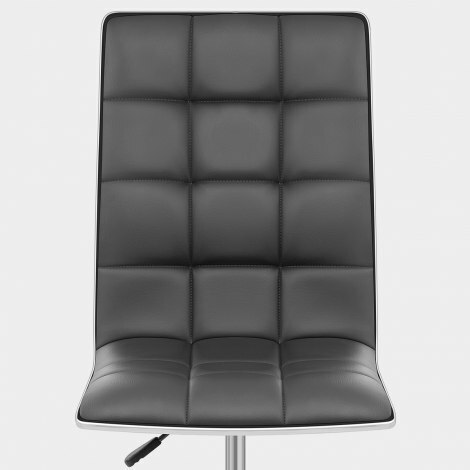 The high backrest provides effective support, whilst chrome edging outlines the seats edge for an opulent finish. Slender and chic, the chrome stem supports the seat and also features a gas lift mechanism that offers variable height and rotation of 360-degrees. A protective ring beneath the round base helps to look after your floor and is a perfect final feature of a true all-rounder. "It is just the right range of heights"
These chairs were very easy to assemble and look amazing. They are extremely good value. I am very pleased with them. We are delighted with this product and the excellent service we received from order to delivery. The chairs we well packed easy to assemble and delivered fast. I would recommend Atlantic to anyone. Bought 3 of these for my new kitchen, am absolutely delighted with them, speed of delivery was excellent. I had bought one of these chairs earlier on this year to use at our table height breakfast bar. 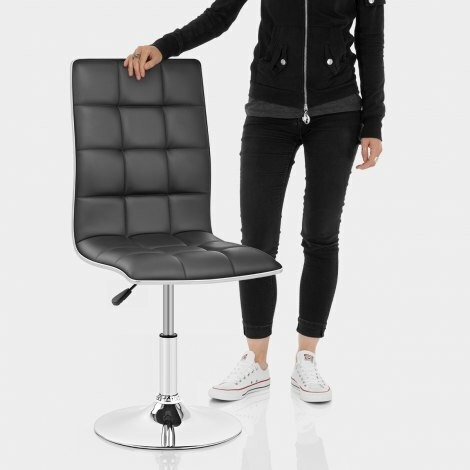 My husband liked the chair so much that I tried to order a second one but discovered they were out of stock for a few weeks. I chose to be informed when they were back in stock and promptly ordered one which I was pleased to receive within a couple of days.